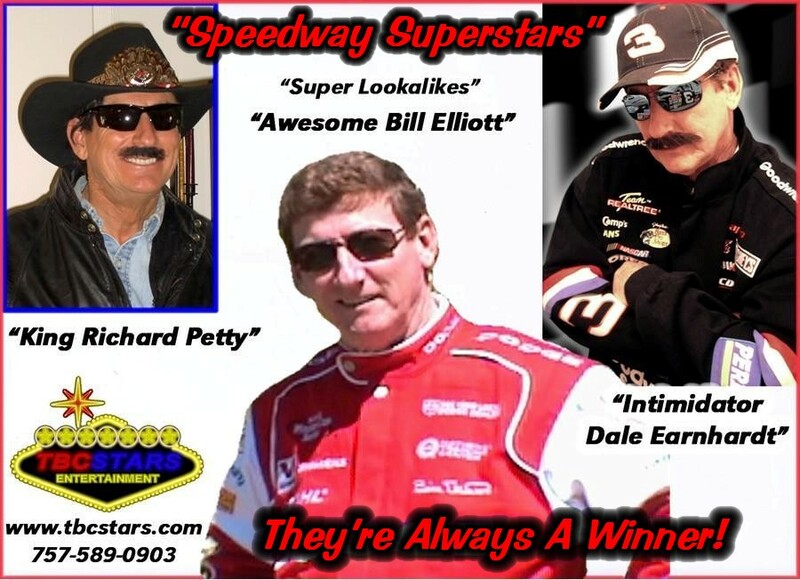 Tim Beasley has the very uncanny ability to transform into several of NASCAR's greatest legends, with probably his most startling as 'Dale Earnhardt, Sr."
Dale Ernhardt Sr., the legendary NASCAR champion, was the man the fans loved to call "The Intimidator #3" and will forever be a bigger than life stockcar racing superstar. Due to his enormous history of racing wins, successes and fan popularity, it would be doubly ironic that the sport he excelled at eventually was his "final finish-line." Tim Beasley is proud to achieve a living resemblence to this great stockcar racing champion, a highly recognized figure in his "Mr. Goodwrench" racing jacket, bug-eyed goggle sunglasses and bristly mustache...and Tim is tall and lanky as him as well, with a knowledge of the sport and the background life of #3. 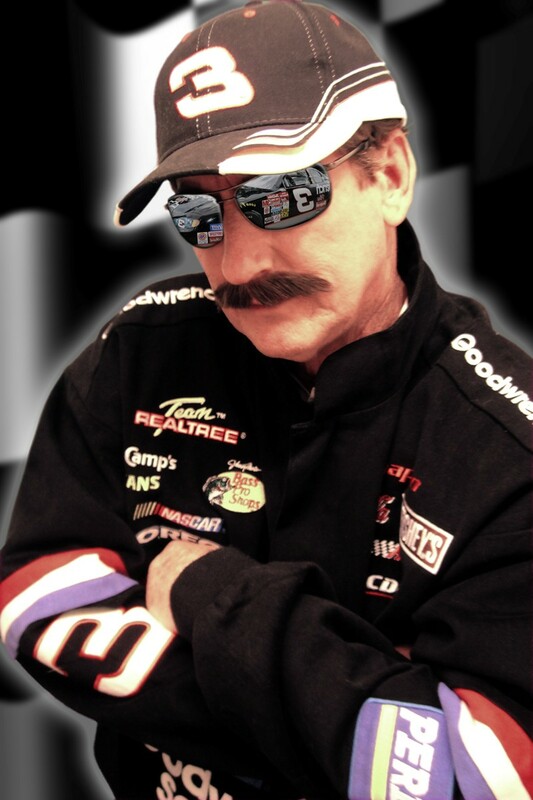 Engage Tim as "Dale Earnhardt, Sr." for your NASCAR, racing and performance car theme events...He's sure to attract lots of attention and as a meet and greet "traffic builder," and every guest will want a photo with this "Legend of NASCAR." Hire Tim and your event will definitely be a winner! "Awesome Bill Elliott" & "King Richard Petty" too!